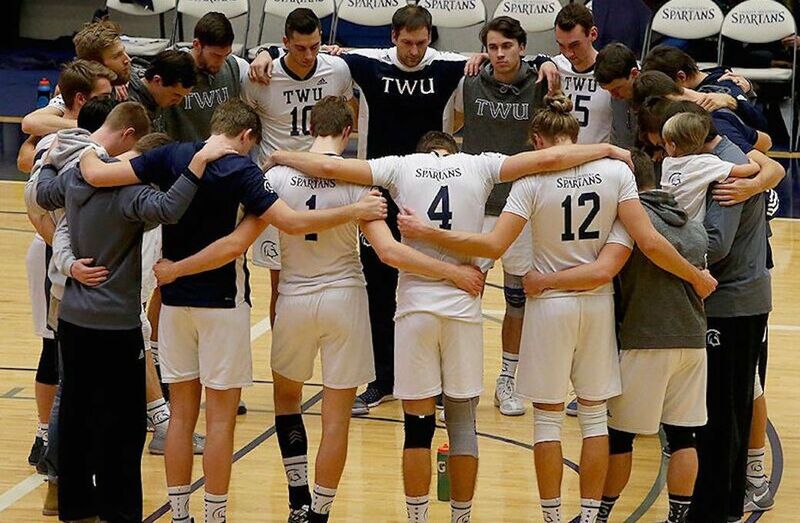 It was October 2016, and the Trinity Western Spartans men’s volleyball team was in preseason play when that year-altering moment happened: Blake Scheerhoorn rolled his ankle. The injury was so severe that it put the fourth-year outside in a boot and took him out of nearly the entire season. Ben Josephson, the Spartans’ head coach, describes the injury as the team’s biggest hurdle of the 2016-17 year. “It was a challenge to go through the whole first semester without maybe our best player,” he says. 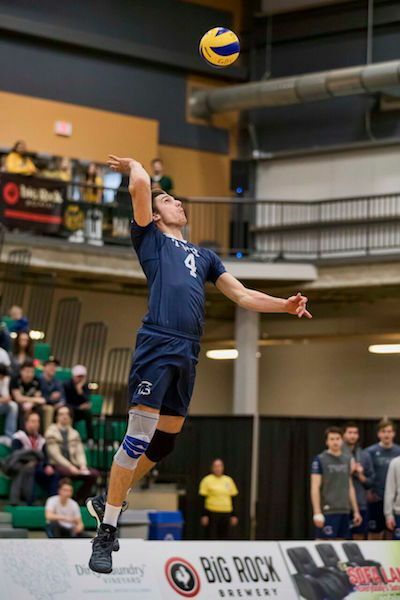 In the season prior, Scheerhoorn led the Spartans to the U SPORTS national title, earning tournament MVP honours with his 61 kills in the three matches. He would also go on to be a member of the Canada Senior B and Canada Pan Am Cup teams. Losing the decorated athlete was a far from ideal situation for Josephson. But with no other choice, the coach—and 1998 to 2003 Trinity Western volleyball alumni—had to take the situation and turn it into a positive. “It was a great opportunity for our team to develop and have a lot of guys contribute,” he says. He adds that up until the injury, the Spartans had a two-pronged approach on the offence, with Scheerhoorn and outside Ryan Sclater as the go-to guys for attacking. But with the loss of one of those assets, Sclater and the rest of the team would have to make adjustments to their game. Fortunately, the Spartans knew what it was like to turn things around after suffering from upsets. Sclater recalls making it to nationals in his first and second years, but losing early in the quarter-finals in both situations. Then in 2015, the Spartans made it all the way to the national finals, only to take home the silver medal after falling short to the Alberta Golden Bears. But in 2016, the Spartans took home U SPORTS banner and the title of the best university team in Canada. Each year Trinity Western has improved, and the past downfalls were always key contributors to their development. “I have a lot of really frustrating silver medals, (but they) really kind of fuel you and drive you to make that next step to not just be good, but to be great,” says Sclater. With the loss of Scheerhoorn, Sclater and the team were ready to apply that principle for the 2016-17 season. The English major says that this year, as opposed to focusing on himself and Scheerhoorn as a duo, the team focused on their depth – more teammates saw more floor time, resulting in an improved team, with more depth at its disposal. “Without Blake, Ryan really had to step up, and he had a Player of the Year-type year,” says Coach Josephson. He also credids outside hitters Scott Plocktis and Jacob Kern along with U SPORTS Rookie of the Year Eric Loeppky as some of the key players to up their game. With more players making essential contributions, the Spartans became the team to beat. Trinity Western went 21-3 in the regular season, with Scheerhoorn returning in time for the playoffs. “When he came back, then our team was just that much stronger because other guys had been getting time while he was injured,” says Sclater. With their full roster on hand, the Spartans swept through the Canada West postseason, going 4-0 en route to the conference title. 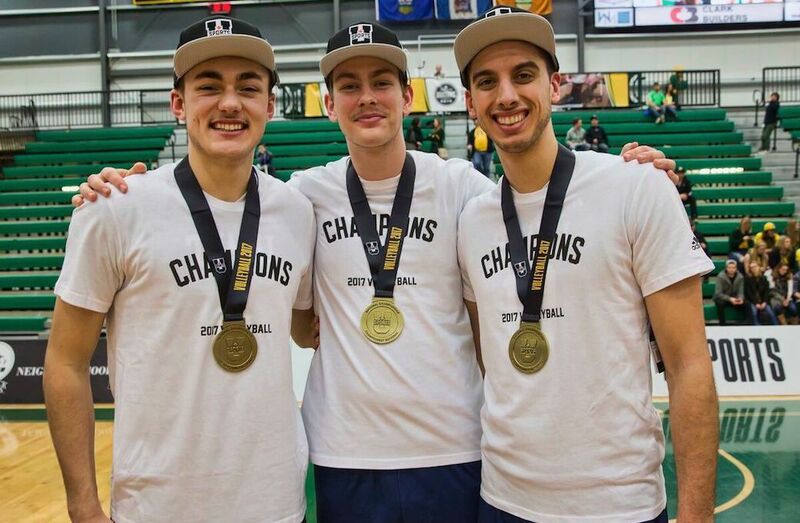 The Spartans then made their way to the University Alberta in hopes of winning the national title for the second year in a row. At the U SPORTS Championship, the team swept the Waterloo Warriors in the quarter-finals, before earning a four-set win over McMaster. In the final - the one they had overcome so much to get to - the Spartans beat host Alberta 3-1 to earn the U SPORTS title. “I would point to that moment of winning as the highlight (of the year),” says Sclater. “There’s nothing really quite like ending your career on a championship.